Below is the Community Development Block Grant Application for those individuals/agencies who attended one of the two Program Year 2019 Annual CDBG Funding Workshop sessions on Thursday, October 25, 2018. Instructions on how to complete the application are located within the documents provided during the CDBG funding workshop sessions. All applications are due no later than 5:00 p.m., Monday, December 10, 2018, in the Economic and Community Development Department, located at 200 Cherry Street, Suite 100, Terminal Station, Macon, Georgia 31201. Facsimile and E-mail submissions will not be accepted. If you have any questions, please contact Regina Newsome, Program Specialist at (478) 751-7190 or email rnewsome@maconbibb.us. The Economic and Community Development (ECD) Department’s mission is to stimulate economic vitality by strengthening neighborhoods, building partnerships, and fostering public and private investments in the community. To successfully revitalize a community, three key components must be in place: the hardware (the physical development that enhances a community), the software (the social programs, rules and regulations that keep order), and links to other resources (outside programs and capital that can be leveraged). One component of ECD programming offers mechanisms to build affordable housing, start businesses, purchase a home and revitalize neighborhoods. Another component of ECD programming offers methods and or solutions to community problems by fostering efforts to deal with neighborhood nuisances, and supporting neighborhood groups and community service organizations. ECD Administration is the most important programming component which helps the “link” and leverage outside resources to revitalize communities. ECD through the help of its partners focuses on capturing federal tax credits and state funding for economic development projects and finding private and foundation funding for special projects. BIDs are special districts in which property owners agree to be taxed at a higher rate than the rest of the community in order to pay for expanded services that are not already being provided to the county as a whole. BIDs may be administered by local governments, DDAs and non-profits. What are the benefits of being part of a BID? There are many benefits to being part of a Business Improvement District. BIDs give local businesses the power to effect changes that will benefit them and their local community. Improvements may include extra safety/security, sanitation, improved promotion of the area, as well as business recruitment and retention efforts. How do I start a BID in my commercial district? Agreement in writing of 51% of the taxpayers listed on the digest for the area outlined or, those taxpayers who own (by dollar value) 51% of the assessed property (both real and personal) within the area.» Residential property is not excluded from millage assessment » 10-year sunset on the BID, but can be renewed by same process. Local governments may also set shorter sunset periods at their option. Can Macon-Bibb County assist in creating a BID? Property used for residential, agricultural or forestry purposes may not be assessed. Assessments cannot exceed 2.5% of the assessed value of the real property, i.e. 25 mills. Bonded debt is permitted but such debt may not be considered an obligation of the State or any other government other than the CID. If you are interested in creating a CID please Contact Us for assistance. What are Tax Allocation Districts / Tax Increment Financing (TAD / TIF)? Tax Allocation Districts or TADs, often called Tax Increment Financing (TIF) in other states, are a popular mechanism for revitalizing blighted or underutilized areas such as brownfields, declining commercial corridors and industrial sites. The process involves designating a Tax Allocation District, establishing its current tax base floor and then dedicating future taxes over and above that floor for a given period of time to pay the costs (often but not always through issuing bonds) of the infrastructure, buildings or other improvements needed to spur new, higher density development. TAD funds may be used for a wide range of development activities. Cities, counties and school systems may all decide independently whether to participate in a TAD. How do TADs work? As the public and private improvements are made in a TAD, the area should realize a significant increase in taxable value. The increased property tax revenues are utilized to pay off the bonds that financed the public improvements. TADs are intended to be used in urbanized or developed areas exhibiting “blight”, to promote redevelopment or preservation of historic or natural assets. They work well in brownfield or grayfield situations but are not intended for undeveloped rural property. What are the requirements to create a TAD? A TAD can be created in blighted urban areas. In Macon-Bibb County, these areas were identified in the Urban Redevelopment Plan. A Tax Allocation District may be created and approved in public hearings. The plan shall include the boundaries of the district and specify the initial tax allocation increment base. All TAD revenues set aside may not cumulatively exceed 10% of the local tax base. Cities, counties and school systems within a proposed TAD must individually agree in writing to assign their tax revenues to a TAD. Funds are set aside from the district to finance redevelopment costs either through local financing or through the issuance of bonds. Maximum maturity of such bonds shall be 30 years. What can be paid with TAD funds? water and sewer lines; streets; sidewalks; parking facilities; public parks; building construction; building rehabilitation, housing, and land assembly. Does Macon-Bibb County have any TADs? Historic tax credit incentives were designed to encourage the continued use of historic properties through rehabilitation. There are three different types of financial incentives available to owners who plan to rehabilitate their historic buildings. The federal Rehabilitation Investment Tax Credit is available only to properties that will be used in an income-producing capacity after rehabilitation for commercial, professional, or residential rental purposes. The Georgia Preferential Property Tax Assessment and the State Income Tax Credit for Rehabilitated Historic Property are available to both private residential properties as well as income-producing properties. Details of financial incentives include: Federal Rehabilitation Investment Tax Credit (RITC) – A federal income tax credit equal to 20% of rehabilitation expenses. Available ONLY for income-producing properties. The application is first reviewed by the Historic Preservation Division (HPD), then forwarded to the National Park Service for final decision. Program is available nationwide. State Income Tax Credit for Rehabilitated Historic Property – A state income tax credit of 25% of rehabilitation expenses. The credit is capped at $100,000 for personal residences and $300,000 for income-producing properties. This program’s percentages and caps are effective for projects completed after January 1, 2009. State Preferential Property Tax Assessment for Rehabilitated Historic Property – Freezes the county property tax assessment for over 8 years. Available for personal residences as well as income-producing properties. Owner must increase the fair market value of the building by 50 – 100%, depending on its new use. Additional information about these programs can be found on video: http://www.youtube.com/user/GAHPD How do I know if my property is eligible for Historic Tax Credits? The property must be a “certified structure,” which means it must be listed in, or eligible for listing in, the National/Georgia Register(s) of Historic Places, either individually or as a contributing structure in a National/Georgia Register historic district. The Georgia Historic Preservation Division must certify the rehabilitation. If your property is eligible, but not yet listed in the National/Georgia Registers, you must pursue getting it formally listed. Can Macon-Bibb County assist with determining eligibility and the application process? the maximum Job Tax Credit allowed under law – $3,500 per job createdthe lowest job creation threshold of any job tax credit program – 2 jobsuse of Job Tax Credits against 100 percent of income tax liability and Withholdingexpansion of the definition of “business enterprise” to include all businessesHow do I know if I am in an Opportunity Zone? Several properties in Macon-Bibb County recently received Opportunity Zone designation. To find out if you are in an Opportunity Zone, please view the Macon-Bibb County Opportunity Zone Map How do I claim my Job Tax Credits against my Georgia State Income Tax? Step 1: Review the Opportunity Zone Brochure to ensure your business or property could benefit from the Opportunity Zone Designation Step 2: Complete Opportunity Zone Certification request and mail to: Macon-Bibb County Economic and Community Development Department 200 Cherry Street, Suite 300, Macon, GA 31201 TEL: (478) 751-7190 – TDD: (478) 751-7166 – FAX: (478) 751-7390 Once Macon-Bibb County verifies your business is located in an Opportunity Zone, the County will complete Part Two of the Certification and forward the form to DCA for final approval. DCA will sign and mail back the form to the business owner. Step 3: Attach the signed Certification form and file your tax returns using the appropriate form(s): Job Tax Credit – Form IT-CA and /or Withholding Benefit – Form IT-WH Please note: every business located in an Opportunity Zone must request Certification prior to claiming the job tax credits against their State income taxes. How do I apply for Opportunity Zone designation for my property or building? If you are the owner of a vacant, blighted or underutilized property or building in Macon-Bibb County and you are interested in having your property designated an opportunity zone, contact us to discuss the designation process. The State Enterprise Zone program intends to improve geographic areas within cities and counties that are suffering from disinvestment, underdevelopment, and economic decline, encouraging private businesses to reinvest and rehabilitate such areas. What incentives do Enterprise Zones provide for property owners? Enterprise Zones provide property tax abatement or exemption OCGA 36-88-8(a)(1) and abatement or reduction in occupation taxes, regulatory fees, building inspection fees, and other fees that would otherwise be imposed on qualifying business — OCGA §36-88-9(a) The Enterprise ordinance include a schedule of exemptions, reductions and abatement’s. The benefits include: (A) 100% of the property taxes shall be exempt for the first 5 years; (B) 80%t of the property taxes shall be exempt for the next 2 years; (C) 60% of the property taxes shall be exempt for the next year; (D) 40% of the property taxes shall be exempt for the next year; and (E) 20%t of the property taxes shall be exempt for the last year. What property may qualify for Enterprise Zone incentives? In order for a property to qualify for Enterprise Zone incentives, it must first be located in an Enterprise Zone. 1. Additionally, a minimum of five new jobs must be maintained for a qualifying business or service enterprise to maintain eligibility for the tax exemption 2. If the project consists of new residential construction, residential rehabilitation, or other rehabilitation of an existing structure and the value of the improvement exceeds the value of the land by a ratio of five to one, then the exemption schedule in the ordinance shall also apply whether or not the project is carried out by a qualifying business or service enterprise. 3. In no event shall the value of the property tax exemptions granted to qualifying business and service enterprises within an enterprise zone created by Macon-Bibb County, exceed 10 percent of the value of the property tax digest of the creating jurisdiction or jurisdictions. Are there any areas in Macon-Bibb that are currently designated Enterprise Zone? Yes. Macon-Bibb County designated two areas as Enterprise Zones in South and East Macon. Please click on links below for maps. The HUBZone Empowerment Contracting Program is designed to promote business and job opportunity in economically-distressed urban and rural areas by increasing federal contracting activity in those areas. Most of Macon-Bibb County areas are located on a HUBZone To qualify, a small business’ principal office must be in a HUBZone and at least 35 percent of its employees must reside in a HUBZone, although it can be a different HUBZone. The firm must also be completely owned and controlled by U.S. citizens. Contracts reserved for HUBZone firms can be awarded through competition limited to qualified HUBZone firms or on a sole-source basis. Another option allows contracting officers to give HUBZone firms a price preference in bidding open to non-HUBZone firms. What are the benefits of locating my business on a HUBZone? There are many benefits of locating your business in a HUBZone if your business provides services or products to the Federal Government. The program’s benefits for HUBZone-certified companies include: • Competitive and sole source contracting • 10% price evaluation preference in full and open contract competitions, as well as subcontracting opportunities. The federal government has a goal of awarding 3% of all dollars for federal prime contracts to HUBZone-certified small business concerns. How do I know if my business is eligible? To qualify for the program, a business (except tribally-owned concerns) must meet the following criteria: • It must be a small business by SBA standards • It must be owned and controlled at least 51% by U.S. citizens, or a Community Development Corporation, an agricultural cooperative, or an Indian tribe • Its principal office must be located within a “Historically Underutilized Business Zone,” which includes lands considered “Indian Country” and military facilities closed by the Base Realignment and Closure Act • At least 35% of its employees must reside in a HUBZone. If you are eligible, visit Applying for the HUBZone Program, as well as Maintaining the HUBZone Certification. Don’t know if you are in a HUBZone? Check out the HUBZone Map. The Department’s primary goal is to expand the tax base by bringing people back to Macon’s first neighborhoods through quality housing development and expanded economic opportunities. This goal also includes building Macon’s tax base and expanding the economic opportunities for low and moderate-income families and disadvantaged businesses. The Department offers several programs aimed at improving access to capital for affordable housing development, business start-ups and expansion, home repairs, redeveloping Brownfields and revitalizing economically depressed communities. HPP The Department provides assistance to builders of affordable housing for sale to homebuyers to close the gap between project costs and available funding. Developers must be in possession of a vacant lot, have bank financing, and be willing to provide some equity to the project. Should you be interested in producing an affordable housing unit for sale to a low-income homebuyer and need our assistance, please contact the Development Division of Economic and Community Development for more details on the program and program requirements. The Department also provides information regarding various down payment assistance programs available to low-income individuals in this community. Depending on the availability of funding, the Department also facilitates in house down payment assistance to homebuyers with low and moderate incomes. Up to $25,000 is available depending on where the home is located. One half of the amount needed is repayable at a 2% interest rate over several years and the balance is forgiven in equal amounts over a five-year period. HRP Many seniors and other groups with special needs in the community, live in substandard housing units that they own but do not have the financial resources for repairs. The Development Department offers a program to repair owner-occupied housing that involves a forgivable grant and repayable loan. The maximum project amount is $20,000. One half of the amount needed is repayable at a 2% interest rate over several years and the balance is forgivable in equal amounts over a five-year period. The assistance is only available to persons whose incomes are below the 80% of median income of the City. Please see the attached table for income limits. The Department also provides funding for non-profits to provide grants to low-income homeowners who need minor repairs such as exterior painting, roof repairs, access ramps and other accessibility improvements. Improvements are generally less than $5,000. Demolition Program: The City has the goal of removing 100 severely dilapidated structures per year. The City maintains a list of properties to be demolished for each year. Properties that appear on the City’s demolition list have a demolition order from the Municipal Court judge and the cost of demolition, which generally ranges from $10,000 to $20,000, placed as a lien on the real property. A revitalized Downtown Macon that is our regions’ commercial and cultural center – maximizing social and economic opportunities for a diverse population, and preserving the neighborhood’s historic urban identity. About the Main Street Macon Program – The Macon-Bibb County realizes that downtown development has proven to be an essential part of a community’s overall economic development strategy. For this reason, the County sought and received a Main Street designation from the Georgia Department of Community Affairs. We are proud to be the second Urban Main Street Community in the State of Georgia, and we are committed to the economic development and revitalization of Macon’s Central Business District in Downtown. The Organization Committee is all about building partnerships with stakeholders in Macon’s Central Business District. Our partners include NewTown Macon; the Urban Development Authority; Keep Macon/Bibb Beautiful and The Cherry Blossom Festival; Macon Arts Alliance; Historic Macon; the Greater Macon Chamber of Commerce; the Macon Convention and Visitors Bureau; the City’s Office of the Mayor and departments of Economic and Community Development, Central Services, Engineering, and Inspections and Fees; and the Macon Bibb County Planning and Zoning Commission. The goal of the Promotions Committee is to build a positive image of Downtown to encourage consumers and investors alike to invest in the district. The Design Committee is tasked with helping Downtown put her best foot forward and to always make a good first impression. The Economic Restructuring Committee aims to retain and expand existing businesses while at the same time attracting new and diverse businesses to provide Downtown with a solid economic footprint. If you are interested in being a part of Main Street, there are many volunteer opportunities. Please contact Steven Fulbright at SFulbright@maconbibb.us or at 478-751-7190 for more information. More About the Main Street Program – A local Main Street program represents and involves a public/private coalition of organizations, agencies, businesses, and individuals from throughout the community – not just those who own property or businesses in the commercial district or who have a direct economic tie to it, but all members of the community who are interested in the community’s overall health. Involvement by both the public and private sectors is critical; neither sector can revitalize the downtown commercial district without the resources, skills and vantage points of the other. Both sectors must participate by providing leadership and ideas, and by encouraging collaboration between existing programs to assist the revitalization process. Stay connected with the Main Street Macon Program on their Facebook page or via the website at mainstreetmaconga.com. Within the City limits there are several hundred acres of environmentally constrained Brownfields sites. The City occasionally has resources available to develop Brownfields sites and provide technical assistance to developers of those sites. Our staff has significant training in State and Federal programs available to developers and businesses who wish to redevelop Brownfields sites. 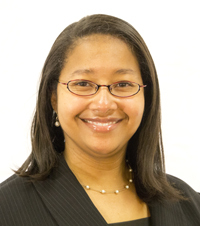 If you have any questions about the Brownfields Redevelopment, please contact Wanzina Jackson. The Department is involved in comprehensively redeveloping neighborhoods in a block-by-block approach. This approach involves developing a mixed-income housing strategy, building “fill-in” housing on vacant lots, and addressing street lighting, sidewalks, and drainage. The Department is leading the revitalization of the Historic Beall’s Hill Neighborhood in conjunction with Mercer University, Macon Housing Authority, the Macon-Bibb Landbank Authority, the Macon-Bibb County Planning and Zoning Department, and Historic Macon. The project to date has involved replacing a 200-unit barracks-style public housing complex, filling in nearly 20 lots with affordable and market rate housing, restoring five historic homes, and adding new sidewalks and lighting. Contact Information For more information and further assistance, please contact the Land Bank Authority at 478-741-9005 or toll free at 1-877-254-2871.